Don’t fight God’s plan. Don’t question His wisdom. God loves you and knows this is not good for you. Why do you keep insisting that you know better? Has He ever failed you? Like a loving Shepherd He is guiding you to greener pastures and steering you away from danger. 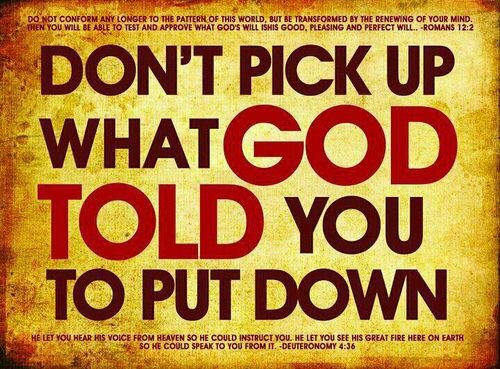 He only wants the best for you…trust Him.